If your tooth is broken, cracked or have a dental cavity then Dental Filling in Islamabad, Rawalpindi & Pakistan can fix this problem easily. Actually, dental fillings are helpful in a way that they can restore your teeth that have been damaged by the decay, grinding or breakage due to the accident. 1. What is Dental Filling? 10. Can Dental Filling fix all Teeth Problems? 11. Who is the Best Candidate to get the Dental Fillings? The biggest advantage of dental filling is that it’s bio-compatible. By getting the Dental Filling in Islamabad, Rawalpindi & Pakistan you will be defending your teeth from more damage because the fillings won’t allow bacteria to enter. Dental Fillings will bond to your tooth structure so it won’t fall or slip out. The dental fillings are also helpful in preventing further decay. Dental Fillings are safe because of being metal free. It also gives your teeth a new life and as a result, your life will be easier without teeth problems. These will help in preserving your tooth structure. The Dental Filling in Islamabad, Pakistan not only helps to restore your teeth but also restores the shape of your teeth. It will improve your dental structure, gives you confidence and an attractive overall look. Dental fillings have a low risk of side effects and allergic reactions. These take short time to finish and there isn’t any downtime. Ceramic fillings are made of porcelain. 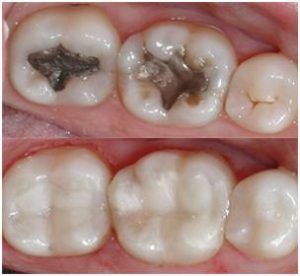 Amalgam fillings are made from the combination of silver, mercury, copper, zinc, and tin. Gold fillings are made from gold alloys, which is the mixture of other metals and gold. Composite fillings are made from the glass particles and plastic. Glass ionomer fillings are made from the glass components and acrylic. Can Dental Filling fix all Teeth Problems? Well, sometimes the decay can damage a lot of your teeth to the point where the dental filling isn’t enough to fix it. 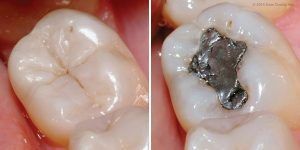 If this is the problem, then after getting the dental filling the dentist will suggest you to wear a cap or a crown at the top of your filling. But if the decay has affected the nerves inside your teeth then the dentist will recommend you to get a root canal treatment. In which he will remove your damaged nerves of the teeth and tries to keep your nerves alive through pulp capping. Who is the Best Candidate to get the Dental Fillings? The truth is you won’t be able to get a clue that are you a right candidate to get the Dental Filling in Islamabad, Pakistan or not. So for surety, you have to arrange an appointment with the dentist, and he will perform a number of tests including X-rays. The surface of your teeth or tooth looks abnormal or not. Your teeth is seriously infected or not. Your teeth have tooth decay or not. If it appears to be these dental issues with you, then the dentist will recommend you to get a Dental Filling in Islamabad. To protect your teeth from the extreme damage you have to visit the dentist on a monthly basis so that the dentist will catch your teeth cavities in its early stages and save you from extreme damage. Because the more damage your teeth will, the more you will have to cost for treating it. After getting the Dental Filling in Islamabad, Rawalpindi & Pakistan, you don’t have to worry about the delayed healing process because the recovery time period isn’t long. But the dentist will recommend you to follow a list of instructions to take good care of your dental filling procedure.